Once you know what your credit score is, you’ll be able to make steps in the right direction to improve it. The main credit scoring agencies in the UK are Equifax, Experian and Callcredit and they each have a different system for deciding what a good credit rating is. It’s free to request details of your credit rating and you can choose to get your results online or by post. Clearscore UK make it easy to get your credit score online. If you want to ensure you receive the most up-to-date and ongoing information you can opt for a paid membership to a credit scoring agency instead. Even simple mistakes and incorrect information can affect your credit score negatively, so this is a quick and easy step to take to improve your rating. If you do come across any errors make sure to report them to the agency immediately – you don’t want false or incorrect information bringing your score down. It’s also possible to add a ‘notice of correction’ to your file if your situation has changed substantially – for example, if you’re back in work and no longer accumulating debt. This notice allows you to add a short explanation of the situation so that lenders have a greater understanding of the circumstances. If you share a joint account with a spouse, family member or friend, their poor credit rating could be affecting you too. You’ll want to act on this immediately if possible. 4. Get yourself on the electoral roll. Once you’ve registered on the electoral roll, you’ll find it much easier to get credit. Lenders can be reluctant to give credit if you’re not on the electoral roll. 5. Here’s the essential one – Pay all your bills on time. Late or unpaid payments are kept on your credit file for at least 6 years, so they’ll continue to hurt your credit score for a long time. Whether it’s your utilities, phone bill or other subscriptions, make sure that you pay your bills within the time limit. This will demonstrate to lenders that you are financially capable and responsible and will reflect positively on you when the lender is deciding whether to give you a loan. Making payments in a timely manner is one of the most significant things you can do to improve your rating and it’s relatively easy too. Prioritise your regular payments before anything else so that you don’t fall behind. You’ll get the most favourable outcomes when applying for new credit if you’ve eliminated any existing debt, although a standard loan may still be out of reach so you may want to look at a bad credit loan. Understandably credit lenders can be reluctant to give you the go-ahead on a new loan if you’re still paying off an old one. There are some excellent, supportive national organisations that you can contact for free advice on managing and eliminating debt – don’t waste more money on debt-management companies who’ll lump you with hefty charges for their services. One way to tackle your existing debts is to consolidate them into one personal loan – they normally charge a lower APR and this way you can be certain what your monthly payment will be to avoid nasty surprises. Sometimes moving house is unavoidable but be aware that lenders view frequent house moves negatively. Staying in one place for longer shows more stability and will help boost your credit rating. If your credit score is lower than you’d like, consider getting a card with low credit limits. 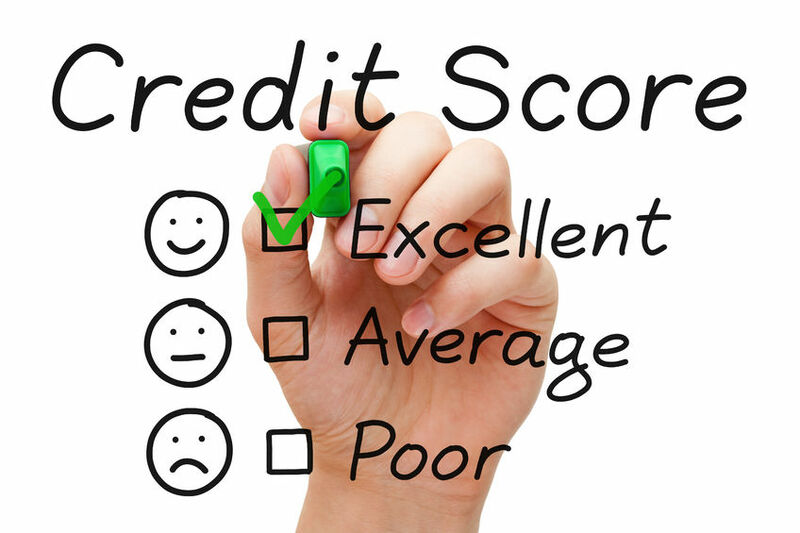 They do have high interest rates, but using one correctly will give your credit score a boost. Make sure you pay off your bills each month and you’ll be on your way to proving that you’re creditworthy. Once you’ve improved your credit rating you’ll have better access to other credit cards and loans. You don’t want to build up more debt, especially if you’re focusing on raising your credit score. Calculate what your monthly budget is and stick to it rigidly. Reconsider any big purchases that might put you at risk of overspending to avoid blowing your budget, especially if you are using a credit card with steep interest rates as mentioned above. Keep your goal of an improved credit rating in mind and concentrate on developing healthy spending habits. This might seem like a tempting quick-fix option, but don’t fall for it. Most of the expensive services that credit repair companies provide – like obtaining your credit file and giving advice on improving your rating – can be accessed for free elsewhere so you’ll be paying out of pocket unnecessarily. Credit repair companies often make unrealistic claims or suggest that you’re less than honest to credit companies – so stay away! So there you have our 10 steps to take to get a better credit rating. If you can implement these simple steps you’ll soon see a positive effect on your credit score and find it easier to access credit cards and loans.